29 Jul SPRADLING sponsors the 1st Edition of InterCIDEC 2016. SPRADLING, the world leader in vinyl fabrics, is a German multinational focused in developing high-performance technical fabrics. 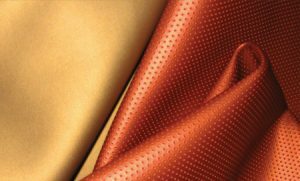 The innovative products of this Company, with a presence in over 55 countries, cover all the fabric needs for such demanding markets as the contract, hospitality and nautical among others. SPRADLING is conscious for the importance of this original bet made by BELTÁ & FRAJUMAR PROJECTS, and they wanted to be a sponsor and have a presence in this first edition that, for sure, will become a reference in European Hospitality sector. From BELTÁ & FRAJUMAR we remind you that you can still participate in this great Interior Design Project. Doors of success are open. InterCIDEC’16 is much more than a competition. Is a great Project for the future for the professionals of Interior Design.